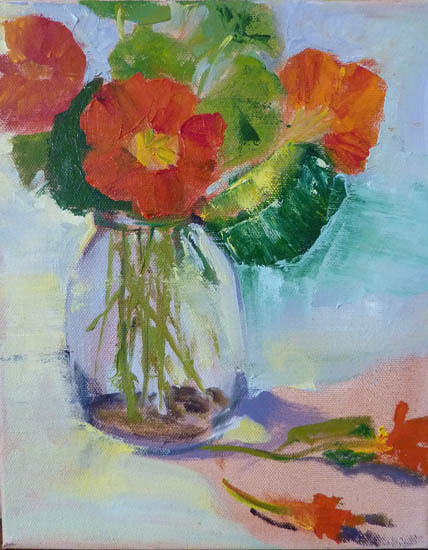 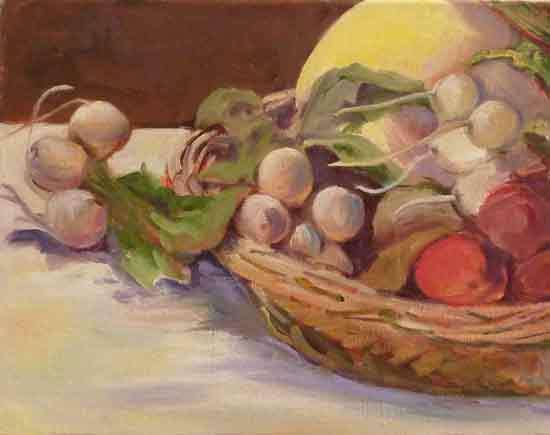 "Nasturtiums" oil on canvas, 8x10in. 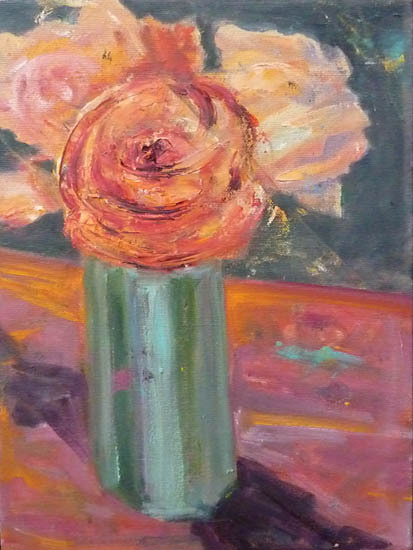 "Roses in turquoise vase" oil on canvas, 11x14in. 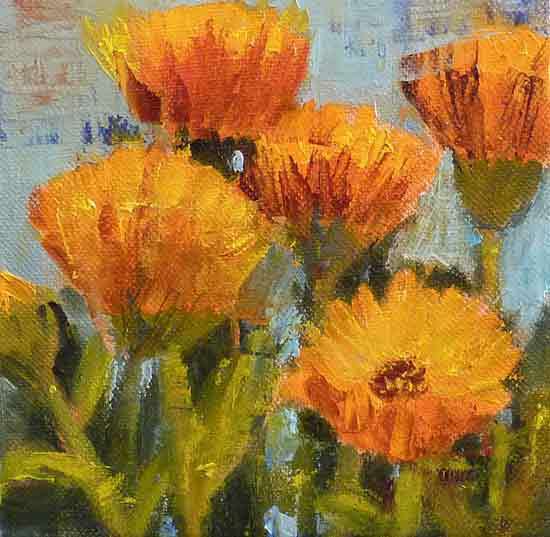 "Calendulas" oil on canvas, 6x6in. 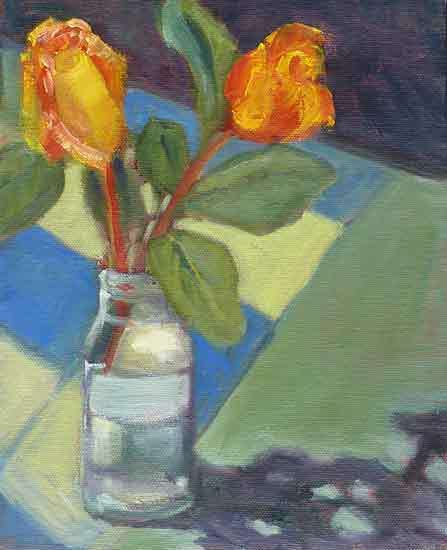 "2 roses in vase" oil on canvas, ???in. 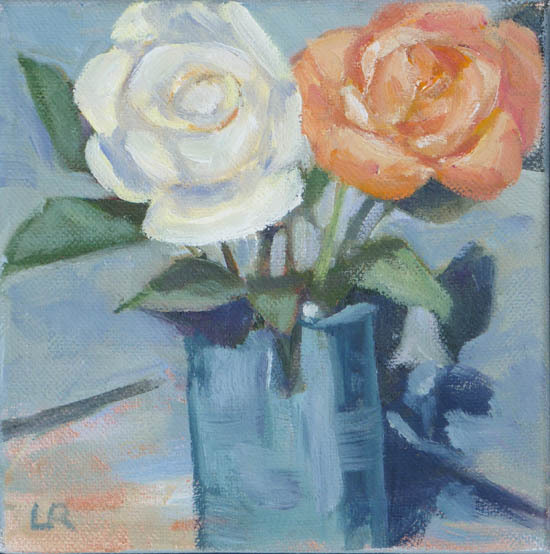 "Last Roses" oil on canvas, 6x6in. 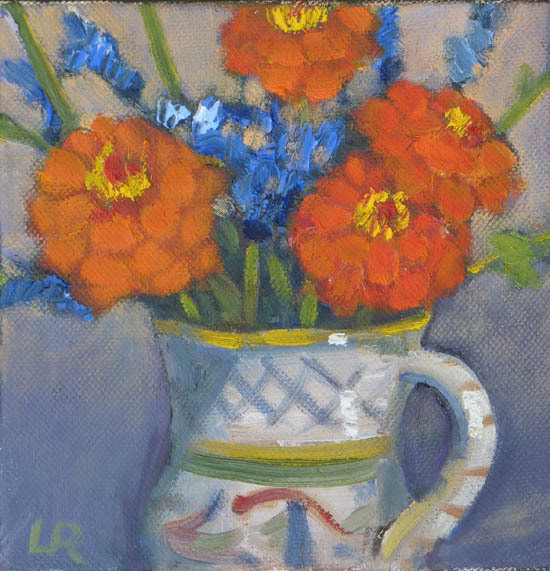 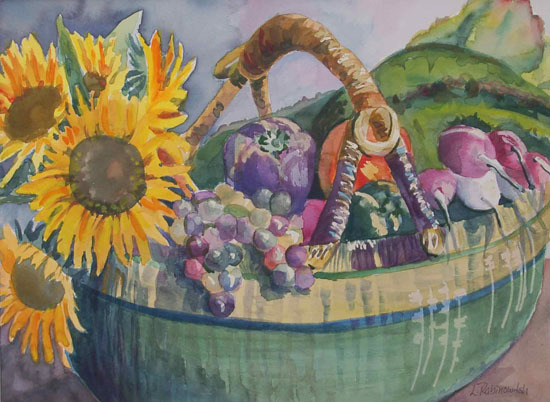 "Summer Bouquet" oil on canvas, 6x6in. 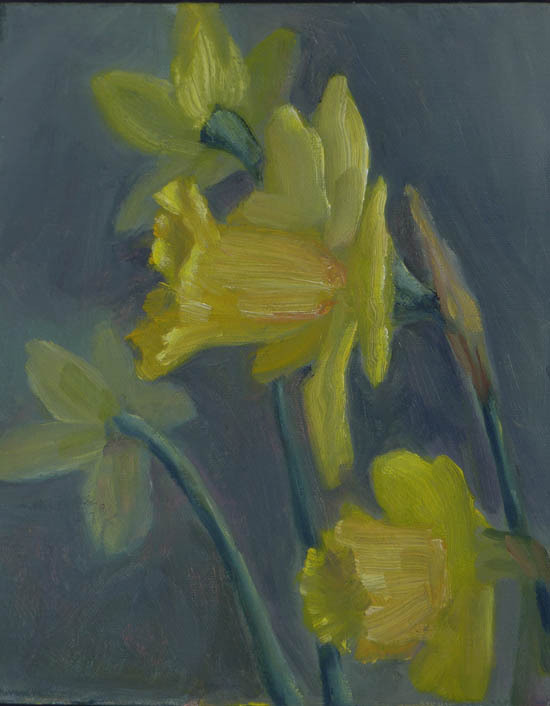 "Daffodils" oil on canvas, 8x10in. 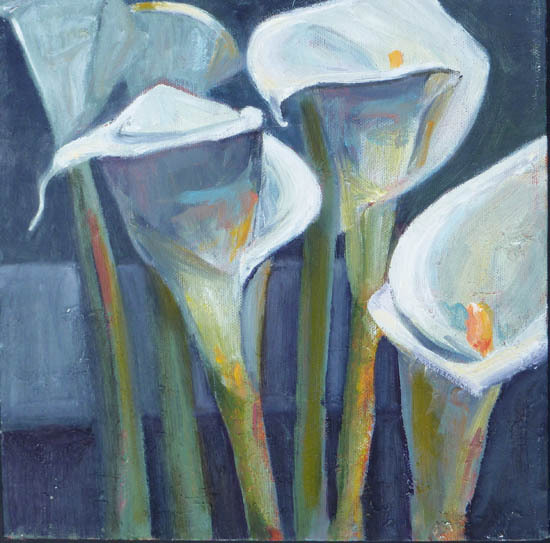 "Callas" oil on canvas, 10x10in. 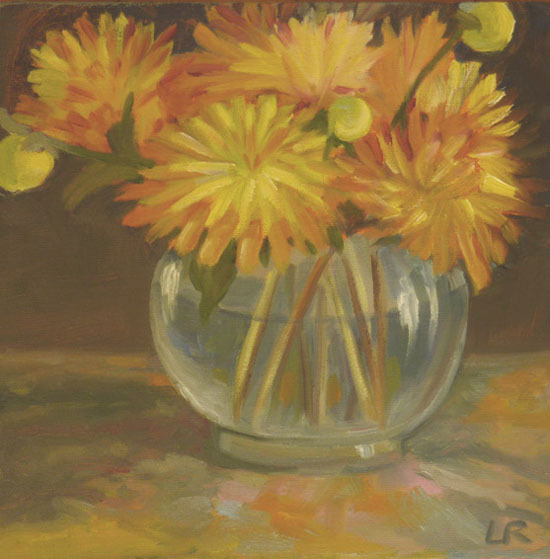 "Sunny Corner" oil on canvas, 8x8in. 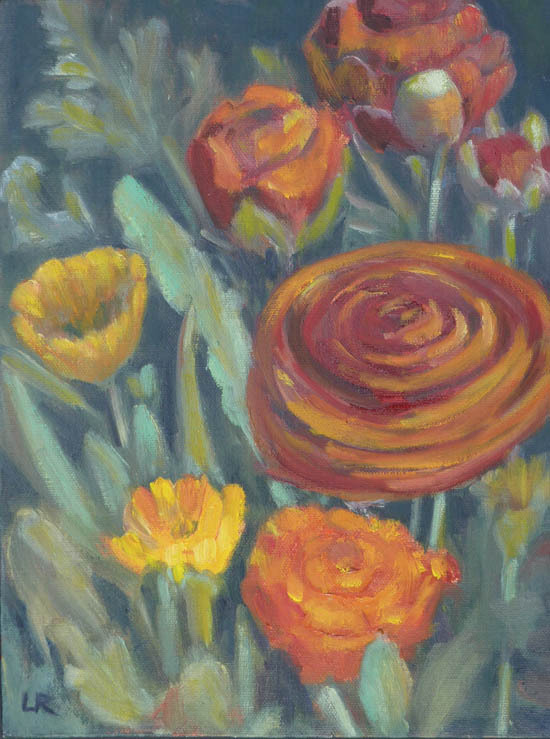 "Ranunculus" oil on canvas, 8x10in. 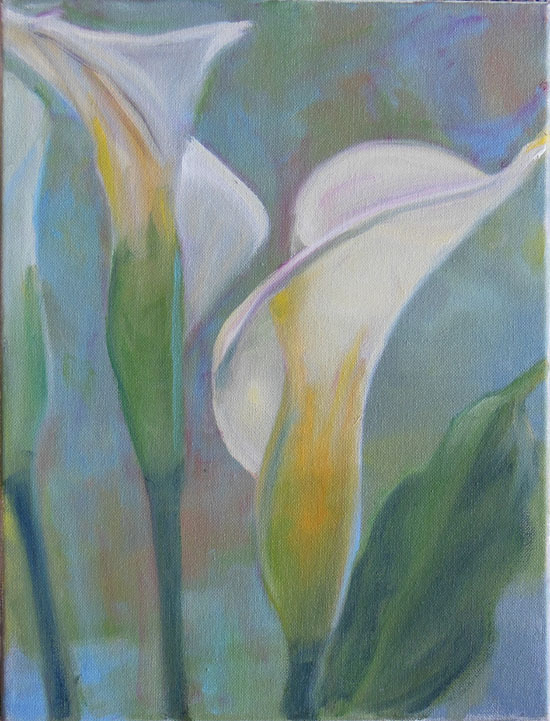 "Callas" oil on canvas, 12x16in. 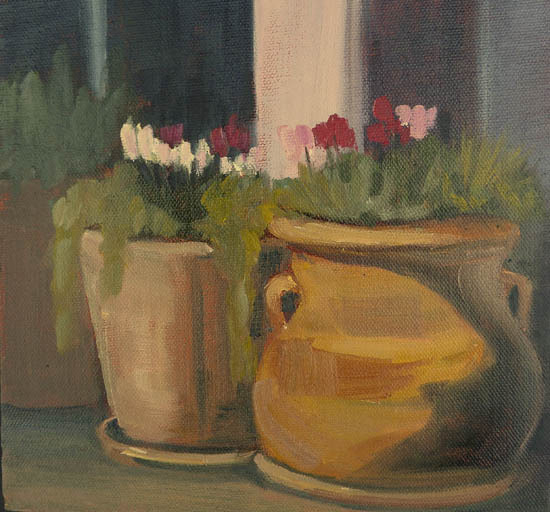 "Dahlias" oil on canvas, 10x10in.